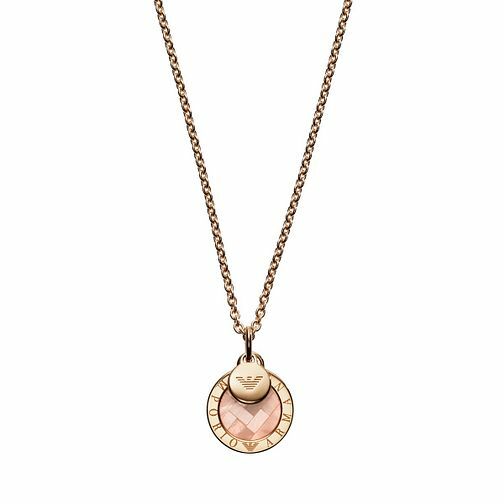 A sleek rose gold tone pendant by Emporio Armani. A fine chain presents a disc charm with a chic art deco influenced centre design, surrounded by the Emporio Armani name and logo. A second miniature disc displays the signature eagle in style. A luxurious pendant, perfect for offering an opulent finishing touch to your look.